11 years have passed, and there have been a lot of changes to how our program has operated since our first year. Over 70 athletes have passed through our doors as well as many great coaches, volunteers, wax staff and countless other contributors. Every person has helped shape who we are and what we do. Every year we try to take a critical look at how we operate our training centre and look to make changes that we feel represent our athlete’s needs, our community, and to no small part our financial landscape. Not every idea or change is successful, and just like everyone in sport, we keep looking to tweak things to find the ideal balance. With that said, we are in the middle of our biggest changes to date since the program first began. In the fall of 2018, we took a big step forward and created a new program in Calgary that caters to full-time, university students who wish to pursue their high-performance ski goals. We saw a big gap in our system that was not providing what athletes graduating high-school wanted; to combine studies while pursuing their sport dreams. This program has surpassed our expectations in the balance it has created for young, development athletes as they navigate those critical years post-high school. We are excited to move forward into year-2 of this journey. 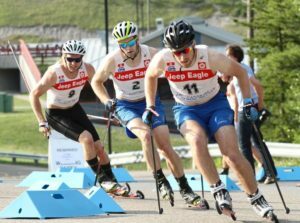 Historically we have always been a Canmore-based program that caters to full-time athletes. The landscape for these athletes has changed immensely in the Canmore area; rising cost of living, increased training opportunities, lack of financial sustainability. Starting this spring, we are going to be going in a slightly different direction at our training centre. We are still focused on being a destination for high performance athletes who dream of representing Canada one day at the Olympics. But we need to also address what is important to help these athletes get there. Financial sustainability – Sport is expensive, and it is not getting cheaper. It is also becoming progressively more difficult for our U25 athletes to access the funding they need to meet these costs. Our athletes are being forced too often to leave the sport before they have had the opportunity to see how good they can be. The complete athlete – At the Academy, we have prided ourselves in the ability to lead 7-8 supported sessions per week in Canmore. This level of coaching is immensely valuable in helping young athletes continue to learn and develop. However, this amount of support is also potentially holding our U25 athletes back from growing and being independent, free-thinking, accountable athletes. We want to rethink how we can address athlete’s needs, not unnecessarily create them. With that said, the following is our updated program guidelines for 2019-20, as we continue to navigate the Academy forward towards 2022 and beyond. All athletes that join one of our programs will have access to our 11-month services, May 2019 to the end of March 2020. New in the fall of 2018, this innovative program has brought the training centre model directly to the University of Calgary campus. If you are a student athlete, this extra program will offer you consistent weekly programming designed for U20 and U23 athletes who are committed to the highest pursuits of both academics and sport. Chris will be leading all athlete program for the 2019-20 season. About to embark on his 10th year with the Academy, Chris brings a tremendous enthusiasm for athlete development to go along with his wealth of experience. 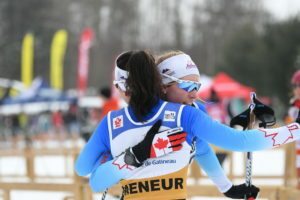 Originally working for the CSI Calgary as the lead physiologist for the cross country able and para and biathlon national teams, Jess moved to Revelstoke, BC in 2018 and is continuing to support programs as a consultant. We feel very fortunate to have Jess as part of our team, providing critical support in developing athlete training programs and supporting our monitoring and testing. Jess’ experience includes leading programs through the 2014 and 2018 Olympic cycles. Originally from Australia, Shelley is now a long-time resident of Canmore and has been working with our team since 2016. Shelley has had a major impact to date, helping us shape and define our approach to athlete health and well-being. Shelley is continuously evolving her approach to not only ensuring our athletes are getting stronger, but that they are staying healthy and on the road the training. As a national team development centre, we are partnered with the CSI in Calgary to help us deliver support via the most up to date sport science in Canada and the world. All our testing is conducted by the CSI as well as most of our IST services: psychology, nutrition, physiotherapy, osteopathy, sport medicine. These services can be coordinated by Chris Jeffries on a cost recovery basis. Judy and Mike have been working on and off with the team in the ski service side since the early days of the Academy. Both are equally passionate about their own training and racing pursuits as they are about fast skis. With the help of The Grinders in Canmore, Judy and Mike have had a big impact on our team with ski identification and selection, as they help our skiers manage their ski fleets. This is tireless work that begins in the spring and continues through the early winter season as they help our team make sense of this complex and always changing technical area. We are currently reviewing our needs in order to best staff our programs for the 2019-20 season to meet our core objectives; meeting athlete needs and financial sustainability. We will publish an update in late April/early May.